A Wolf Called Romeo, by Nick Jans. Book Review, nonfiction. A Wolf Called Romeo is about the life and times of a black wolf who entered remarkably into the lives of the residents of Juneau, Alaska between 2003 and 2009. In three strong words, Nick Jans’ book is at once informative, powerful and passionate, written by a master story-teller. 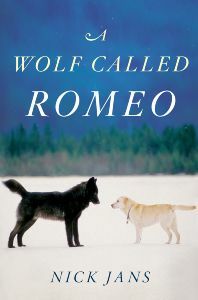 Part biography (of the wolf), part memoir (of Jans’ role in the story), part natural history (discussing the scientific literature on wolves) and part socio-political reflection (comparing the pros and cons of various personal viewpoints and regulatory perspectives on wolves), A Wolf Called Romeo relates many extraordinary events at the intersection of the wolf’s and many local residents’ existence. It reviews the perspectives of pro- and anti-wolf factions. Through it all the author tries valiantly, and for the most part successfully, to represent and respect all sides to the controversies, conversations and concerns that captured the imaginations of many Juneauites as Romeo became an object of great affection and veneration (and a smattering of disdain) within the community. 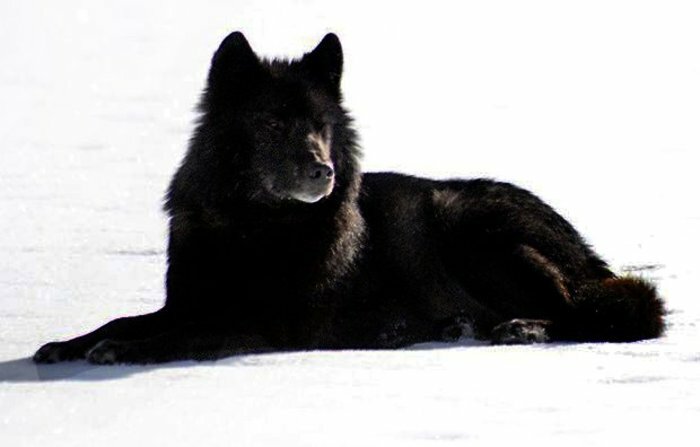 The black wolf of Southeast Alaska is classified scientifically as an Alexander Archipelago Wolf (Canis lupus ligoni), a unique and threatened sub-species of the Gray Wolf. The Alexander Archipelago refers to coastal and island Southeast Alaska, including the expansive Tongass National Forest. Beginning in 2003, Romeo lived part of each year until 2009 near and regularly interacted with humans, and played in high spirits with their pet dogs, in the vicinity of Juneau’s Mendenhall Glacier, in what appear to have been remarkably safe and friendly relationships. Throughout the book, Jans describes the roles of several key actors in the saga, including his role as well as his wife’s and their dog Dakotah’s (a golden lab, pictured on the book cover with Romeo), as well as of several other individuals, including avid photographers, and their dogs. The close relationships that were formed between some individuals (and dogs) and Romeo were remarkable in their expressions of familiarity and mutual trust, and are well described by the author from personal observation and interviews. Nick Jans even brings some notable state politicians into the picture, including Sarah Palin, the former governor of Alaska, a publicly proud big game hunter who has expressed distinctly anti-wolf feelings (in general). However, much of what Jans describes, based on solid scientific research by specialists, refutes many of the arguments against wolves that the anti-wolf faction raises. For example, he points to the well-established fact that wolves attacking humans is exceedingly rare. Occasionally Romeo disappeared for varying periods of time, raising alarm and concern that he may have reverted back to the wild, or worse had been killed by humans or by other wolves. Yet, each time (except the last) he returned to renew and rejuvenate his ties with the humans with whom he shared key times in his and their life. Without divulging the end of the story, suffice it to say that after finishing the last two chapters (13 and 14) I felt… — well, to put it politely — I felt profound anger at the behavior of several egotistic individuals who imposed themselves with brazen, headline seeking selfishness upon the scene at the very end, as well as at the failure of the judicial system to bring true justice to bear against them. Is this a good book? One that canine aficionados will enjoy reading? The answer is an unequivocal Yes, if only for what we who admire dogs can learn from it. The reader is bound to walk away from the book, mulling over its meaning, with special note about the remarkable bonds that developed between the three species involved – the wild Canis lupus, the domesticated Canis lupus familiaris, and that subspecies of local Homo sapiens known as Juneauites. Of all my times with the wolf, some much more action packed and dramatic, this is the one that keeps coming back. 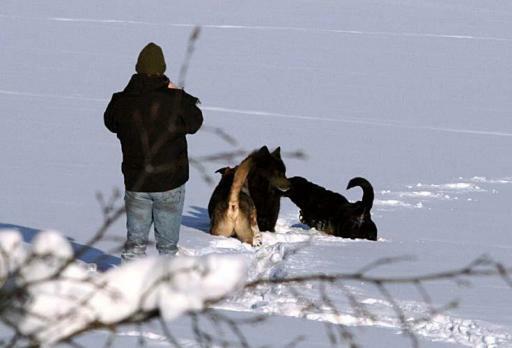 One warm April afternoon, Romeo, Gus [one of Jans’ dogs], and I dozed together out on the ice near the river mouth, me with my head on my pack, skis off; Gus with his head on my thigh; Romeo with his muzzle resting between his outstretched front paws. It was one of those still days when you could hear snowdrifts collapsing in hisses, the sun so dazzling off the white-crusted ice that we seemed suspended on a cloud, bathed in light radiating from below. Now and then the wolf would slit open an eye to check around, then settle back for another short snooze, and I’d do the same. Maybe twenty feet separated us, but in trusting enough to shut his eyes and sleep with me so neare, he might as well have put his head alongside Gus’s on my leg. There we lay, three different species bound by a complex, often bitter history, taking simple comfort in the others’ presence, the sun’s warmth, and the passing of another winter. That afternoon remains with me, one of those clear, still moments that graces the edge of dreams. When Gus and I finally rose, Romeo did the same, yawned and stretched, then lay back down and watched us glide away, toward the alien world from which we’d come. I recall looking back as he dwindled into a dark point against the snow, as if for the last time. I watched hard, hoping to remember. A Wolf Called Romeo, by Nick Jans. Houghton Mifflin Harcourt 2014, 288 pp. Illustrated. Prologue, 14 chapters, Epilogue, Notes, Suggested Reading, Index, and Acknowledgments. ISBN: 978-0547858197. Available in hardcover, paperback, and digital formats. “Beautifully written, …a thoughtful and moving story about one of nature’s most evocative animals.” (P. McConnell). But take note, while most reviews are positive, not all are as enthusiastic as these. See other comments on Amazon.com, some of which are openly critical of Nick Jans’ perspective and approach. Of course…, to be expected , given a subject is as as challenging and controversial as this one — of humans befriending wolves, and vice versa. 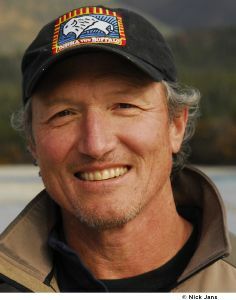 Nick Jan’s other books include: The Glacier Wolf: True Stories of Life in Southeast Alaska, and several others based on photographic excursions around and about the state. See more at http://www.nickjans.com/, and at http://www.amazon.com/Nick-Jans/e/B001JSE8Z0. There’s also a video clip of Romeo online at https://www.youtube.com/watch?v=5eEKGzs4MzE. This entry was posted in BOOK REVIEW, Canine Cousins: Wolves, Canine Science. Bookmark the permalink.